So, my 30th birthday was earlier this month and it was nothing to write home about. Things just went all wrong in the latter part of the day. What was supposed to be a chill celebratory date night turned into a kleenex, pity party kind of night. But, no worries, I am all better. I am able to admit I was just having an inner crisis over meeting my 30th year. It was just more emotional than I thought it'd be, and I got all weird. All is right now and this little ditty above helped with that! 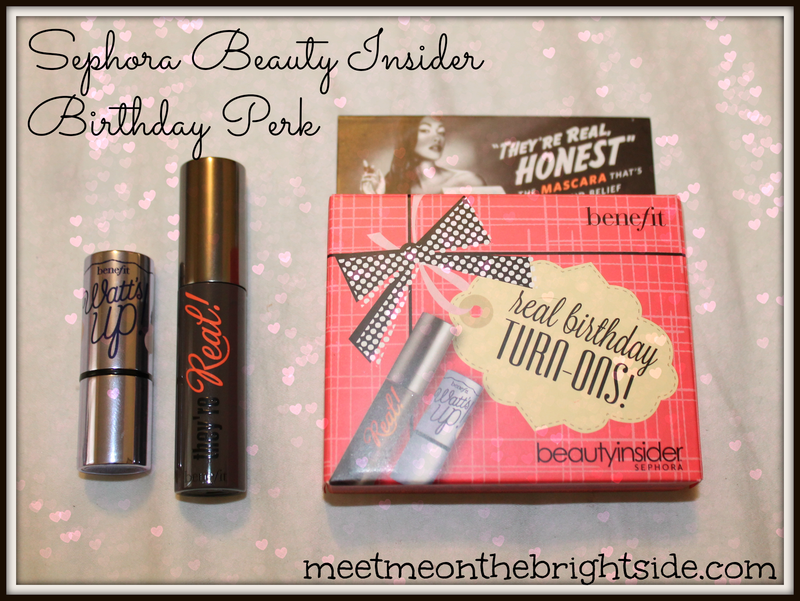 Being a Sephora Beauty Insider is pretty awesome! Samples when you order online, deluxe 100 point perks, discounts and special offers, and every year on your birthday, stop in and you get a free gift, like the one above. This year's birthday perk is a Benefit best seller mini sampler. They're Real mascara and a Watt's Up highlighter. I haven't tried either so I am excited. I recommend signing up for this free reward program at Sephora. It's by far my favorite!! I just hit over 400 GFC followers!!!!! Woohoo! If you follow and I haven't yet returned the follow, please leave me a comment below so that I can do so. It's sometimes hard to keep track, I apologize! Mariah Carey's new OPI polishes!! Both are items I've been wanting to try.